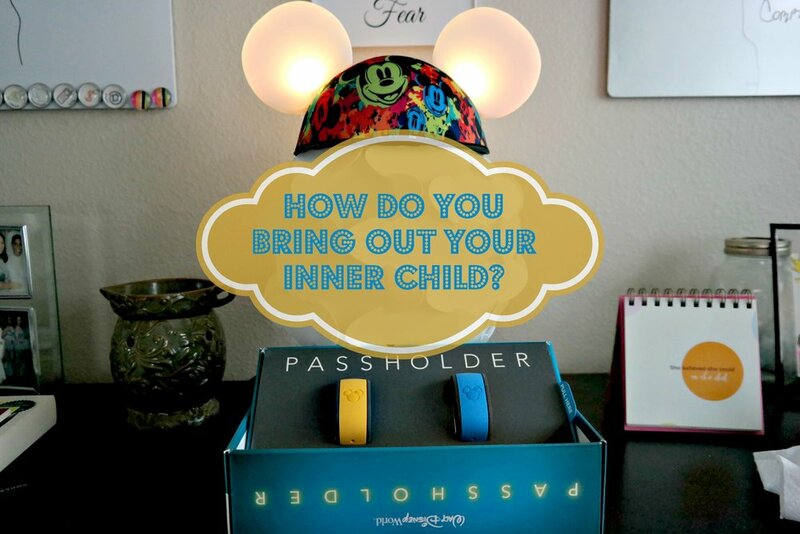 How Do You Bring Out Your Inner Child? I found myself giddy with excitement when I grabbed my mail, threw it in the car and made titi Q open the box. What could it be? I wasn't expecting any samples for review? Well, let me tell you! It was a box that made me deliciously happy. Don't ask me why but, I got giddy when my new Magic Bands came in the mail. We finally renewed our annual passes to Disney World and this means new Magic Bands. The techy girl inside of me does the shoulder shimmy and possibly the moonwalk every time I check out the awesomeness that I can rock on my wrist. I decided to grab a new color (yellow) and the Frog Princess decided on blue because...#Elsa. My freak out moment happened without the kid in the car which prompted this video and question: how do you bring out your inner child while raising a child of your own? Watch and then tell me!